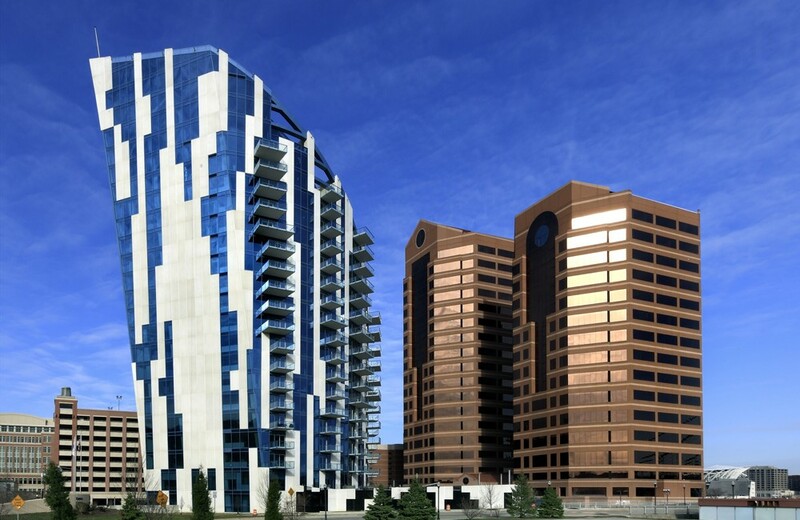 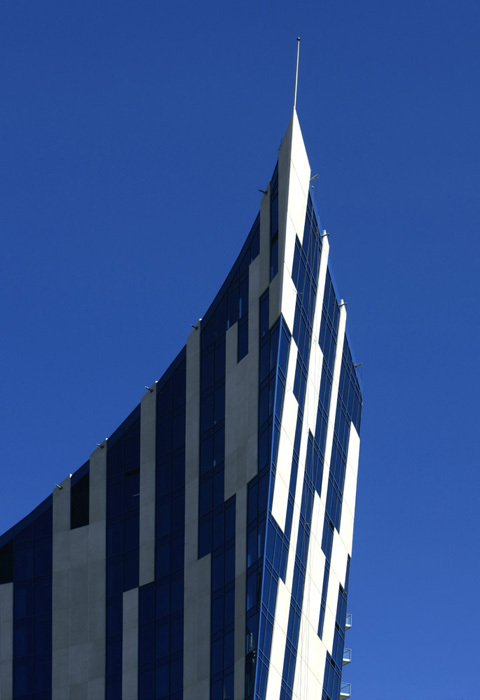 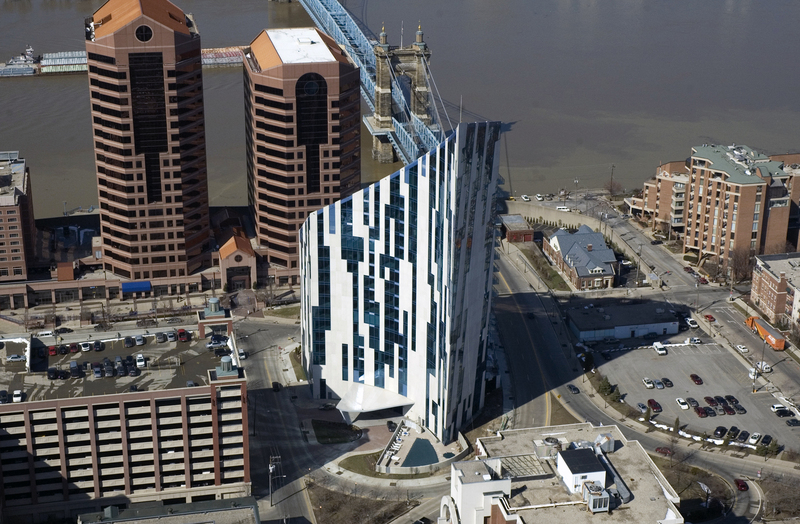 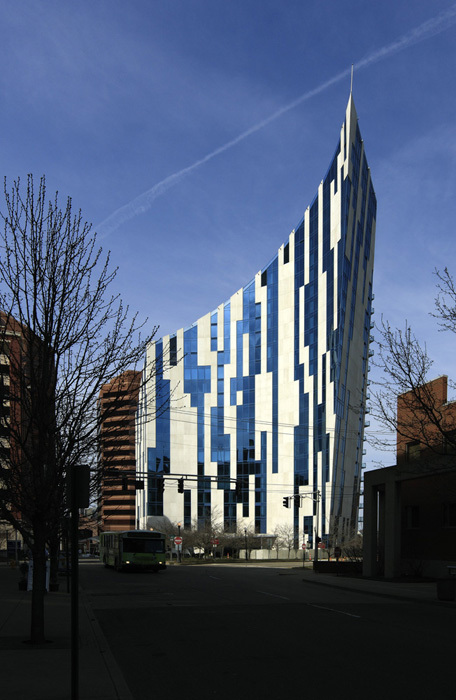 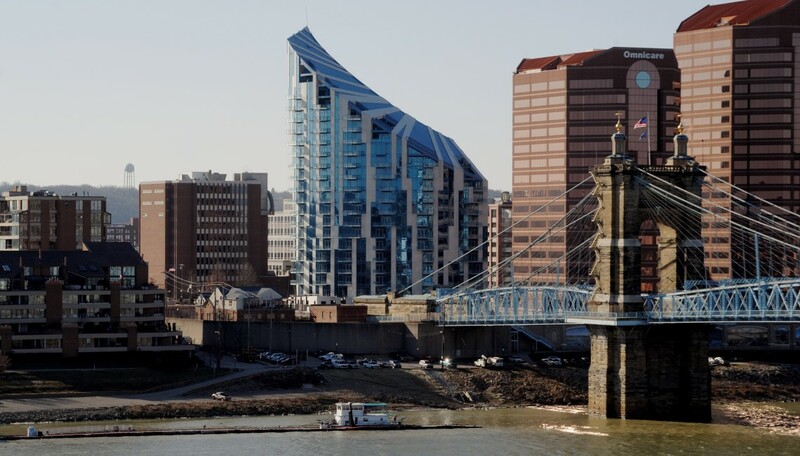 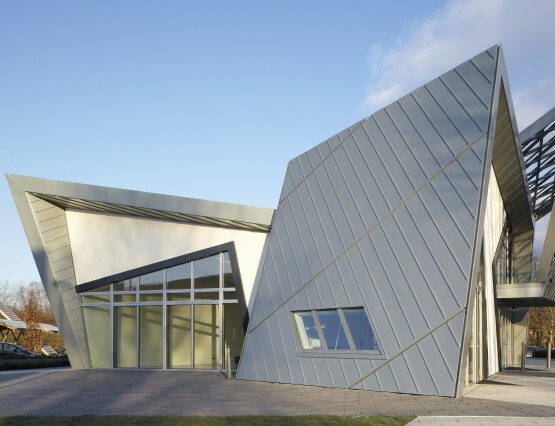 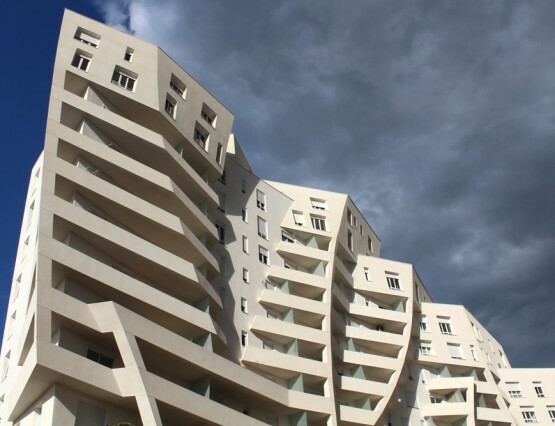 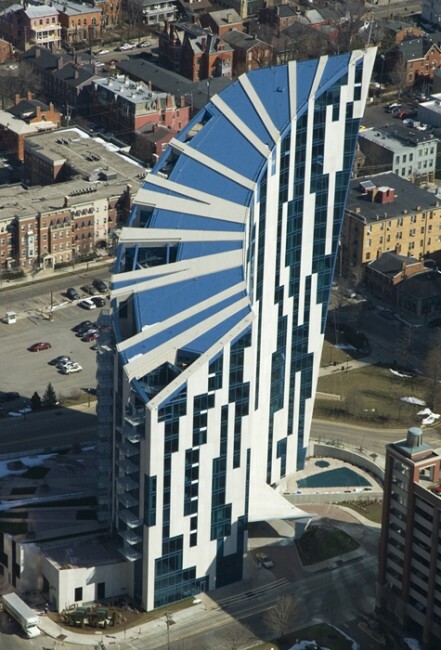 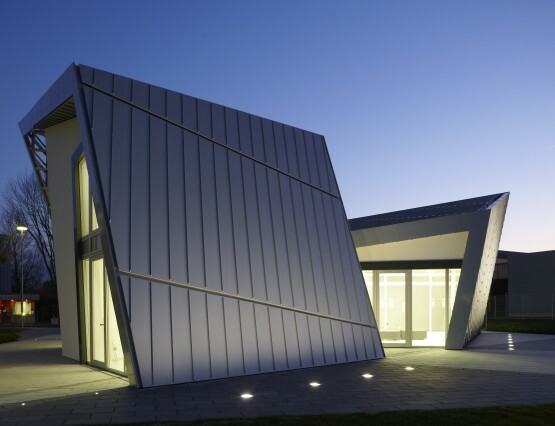 The curving crescent form and sloping roofline of this 20-story residential tower built in Covington, Kentucky were designed to maximize views for residents to have unobstructed visibility from every unit towards the Cincinnati skyline that sits across the Ohio River. 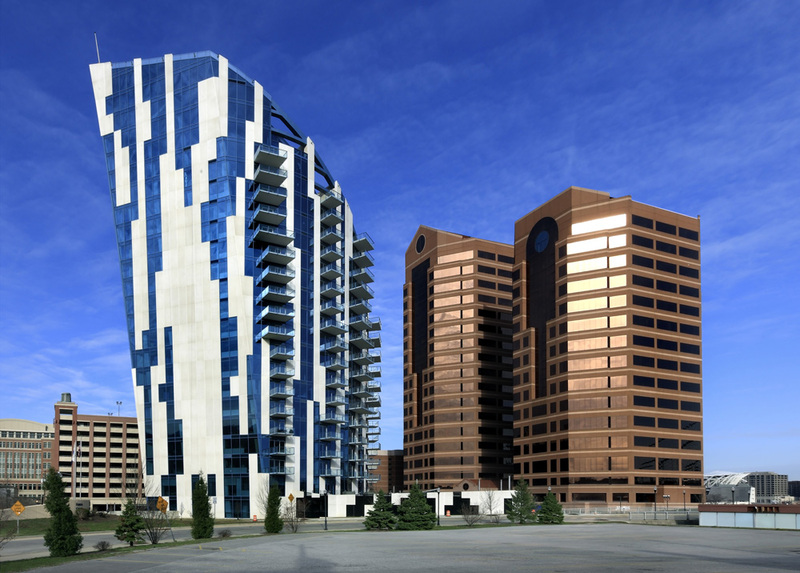 The reflections of sky and river also introduce an accent of blue to an otherwise earth-tone palette. 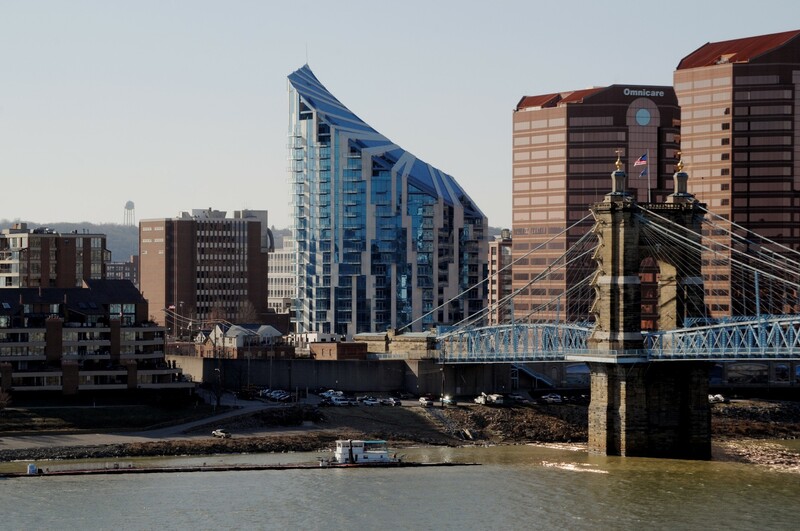 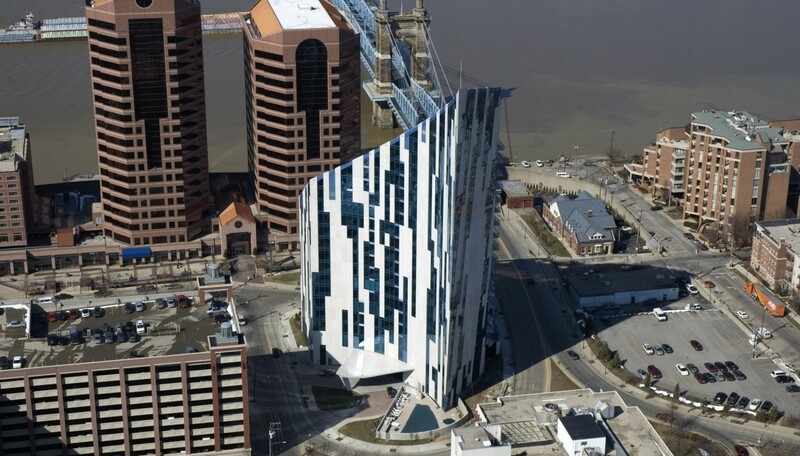 In its ascending height, the form of the building mimics the suspension cables of the nearby Roebling’s Bridge, a central feature of Covington’s waterfront, and links the lower residential structures to the east with the more modern commercial buildings to the west. Reaching 300 feet at its pinnacle, the 300,000-square-foot building includes 70 residential units, a swimming pool, garden facilities, large public event space, and a restaurant on the plaza level.